We’re excited to announce the launch of our Sneinton Pride of Place Project book, following our successful Sneinton Pride of Place Project last year. The book features exhibition contributions, such as Sneinton-related artwork, memorabilia and photographs provided by our many contributors to the project, alongside our own photographs of Sneinton. Everyone who contributed to the project is invited to take home a free copy of the book, with limited copies available to buy for £6. Also available at Five Leaves Bookshop, Nottingham. 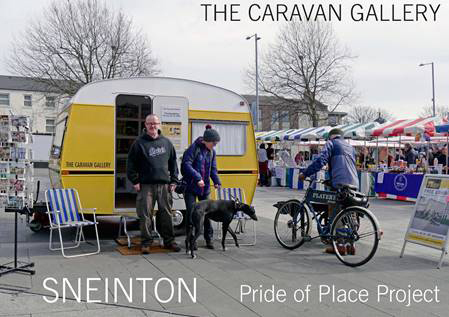 We also invite you to ‘place’ at Sneinton Market, the new home of The Renewal Trust’s Creative Programme. You’ll be able to find out more about ‘place’, where local people will have a say in what kind of creative projects they’d like to see in their neighbourhood, giving them the opportunity to work with artists and creative organisations in unexpected ways. Free event, refreshments available, everyone welcome! Please RSVP via Eventbrite. Thank you.